I think I need legal help, where do I start? If you believe you require legal assistance, work-related or through our referral network, you should first contact your UniServ field office. You can find your UniServ office by CLICKING HERE. 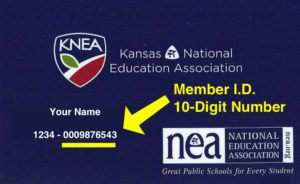 With four full-time staff including three staff attorneys, KNEA’s legal services department is equipped like no other professional association in Kansas to support members and locals. Our attorneys specialize in law related to education. A robust referral network is also available to members. KNEA’s legal services department handles member rights cases, issues arising from negotiations and state-level litigation to ensure member rights are protected. NEA provides support for cases with potential for broader impacts upon members and students like due process, collective bargaining and equality. We are currently moving legal services information to the KNEA / NEA member management portal. If you’re not finding what you need here, login to the member management portal or contact us.